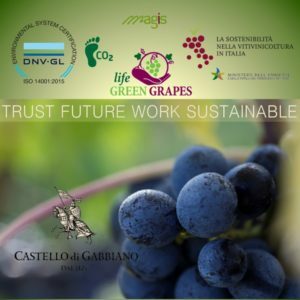 Sustainability is one of our priorities: ISO14001 Certified, Castello di Gabbiano is partner in the Life Green Grape project and working complying with VIVA Sustainability program. 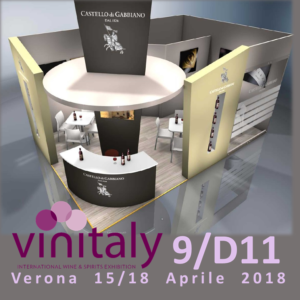 Monday, April 16 , 3:30pm, at our Vinitaly booth (Hall9 stand D11) we will be officially handed over the VIVA Sustainability Certification by DNV and Agricoltural Ministry. Castello di Gabbiano works sustainable.